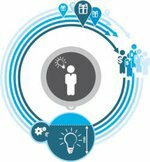 Internet-based forms of crowdfounding stand in stark contrast to the features of traditional funding for international development aid channelled through large government institutions or private-sector NGOs, which are leaner but also have their own overheads. Michael Cecil, Associate Director of Communications for Social Media at the US-based organisation. "What if we gave the world’s unheard entrepreneurs and thought leaders a chance to lend their voices on issues they see on a local level?" What Michael Cecil called an idea is slowly turning into reality. International development work uses crowdfunding as a tool to raise funds for its causes and to communicate with potential donors and supporters. For example, reward-based CFPs like Indiegogo offer private campaigners as well as NGO’s special categories for projects related to causes like “health”, “education” or “community”. Over the years, more than 430 education-related projects were successfully financed on Indiegogo, in the “health”-category the tally stands at more than 540 projects. Interestingly, according to Indiegogo’s insights for 2012, “33% of dollars contributed were altruistic dollars (dollars given in excess of perk amount or contributed with no perk)”, according to Indiegogo’s blog. When Australian actor Katherine Wallace raised $2,735 from 50 funders to finance a volunteer trip through Indiegogo to bring literacy to displaced children from Angola, Rwanda and Congo in the UNCHR’s Meheba Refugee Camp she promised personalised letters, “USA for UNHCR” Blue Key pins or handcrafted souvenirs from Zambia as rewards. Although her highest perk was $100 worth, at least 5 people gave more then the proposed amount of money, not counting supporters who donated anonymously. Non-profit organisations get a 25 percent reduction on the platform fees on Indiegogo. The platforms also offers all US-based contributors to deduct their contributions to crowdfunding campaigns from ther tax bill. Other platforms such as Startnext or Sponsume have similar offers. organisations such as CARE, Caritas or UNHCR to the campaign’s pitching page. In that way, supporting organisations can gain publicity, even when they do not support a project financially but merely promote it and spread its word. Luisa, a cloth maker and member of the San Rafael Group from Peru who used her loan to buy materials for her sewing business, boosting her income and helping her to better support her family. In total, $4,100 were borrowed to the group, with a monthly repayment schedule for seven months. 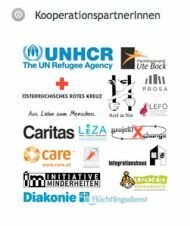 above mentioned “pages” for institutions and organisations such as the German Red Cross, UNICEF or CARE, but also smaller organisations like Tareto Maa. may struggle to breach the Internet’s attention threshold. "In social networks, some users have the status of opinion leaders – users that these super-users follow gain more attention." microfinance projects in 39 countries. 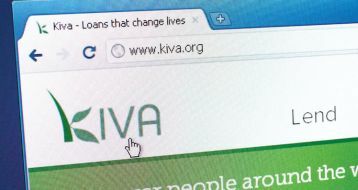 Falling under the lending-based model, the online service of CARE uses the organisation’s expertise in microfinancing to build a more direct link between social entrepreneurs, microfinance institutions and private lenders. Especially when speaking of lending-based and equity-based crowdfunding, the term “social entrepreneurship” is often used to describe the funding focus of these platforms. “Social entrepreneurs are society’s change agents, creators of innovations that disrupt the status quo and transform our world”, according to the Skoll Foundation, founded by Jeff Skoll, the first President of eBay. In that context, there’s a variety of niche-platforms, such as lending-based CFP Energy in Common for supporting those social entrepreneurs who focus on energy projects. The platform Kopernik on the other hand calls itself an “online marketplace of innovative, life-changing technologies designed for the developing world” and showcases the latest technologies to local groups (NGOs) that can choose which technology is most needed in their area and then apply online for funding. And last but not least Samahope lets you change a person’s life by financing corrective surgery for people in developing countries. "They thought it would be too difficult to get access to public funding or a bank loan for such a social project." There are several reasons why Balzer turned to crowdfunding, but “besides the aspect of funding, it was important for us to do a proof-ofconcept for our project at an international level.”, he said. “We wanted to use crowdfunding to test the concept and see if there’s a market for it and if people are open to our project. Furthermore, we received a lot of feedback which we already were able to use for our first product line,” he told ikosom. This can be compared to the product-testing of some small open source software companies that constantly publish their new code, to which a user community then can react and make or suggest improvements. In retrospect Balzer states “that crowdfunding is a relatively simple but time-consuming process. (...) All in all crowdfunding is no guarantee of a successful funding! It is hard work and not easy money! However, we can speak from personal experience: you should try it by all means!